DECENT has been busy working towards a revolution in decentralized content distribution. We’re spreading awareness of the DECENT Network and its current Caesar testing phase by speaking at all sorts of events! We’ve been to Zurich, London, and Southeast Asia, among others, and most recently, hosted an event at home in Bratislava. 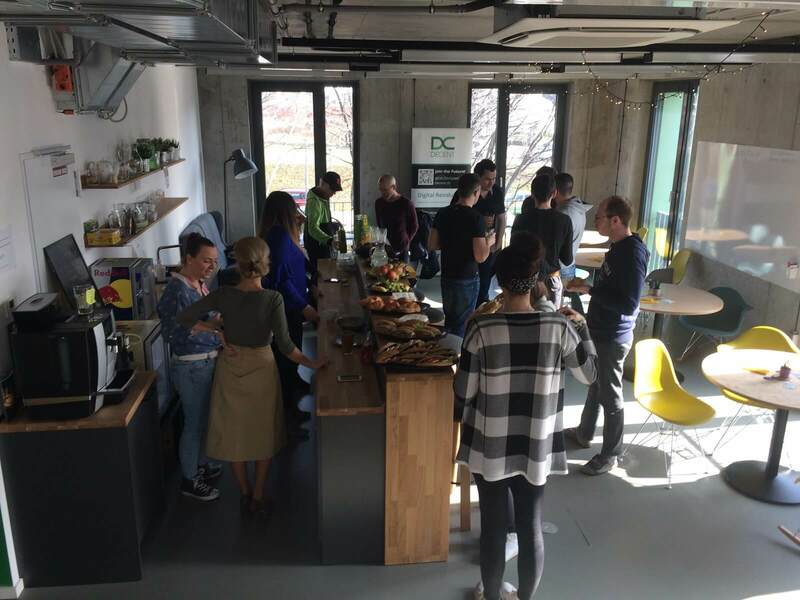 On March 16th, 2017, DECENT held a community breakfast for members of 0100 Campus, a DECENT partner and co-working space in Bratislava. We know the space well since both DECENT and the Blockchain R&D Hub have office space there. Many people joined the breakfast for good food and great company, and the word of the day was blockchain use cases. 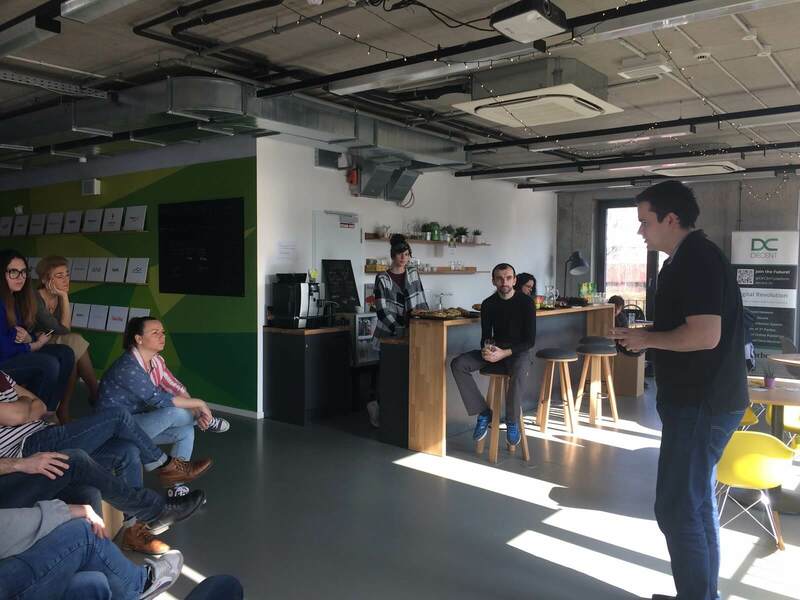 Matej Michalko, DECENT’s CEO and founder and co-founder and chairman at Blockchain R&D Hub gave a presentation about DECENT and the revolution in content publishing, followed by a question and answer session. The group talked about DCT, DECENT’s own crypto-currency powering the entire network, and about how authors and content consumers can benefit from the platform. The DECENT Network offers a secure, peer-to-peer digital content distribution platform with many advantages. The network offers total transparency thanks to the blockchain, which allows anyone to see the immutable ledger of transactions. You can try the DECENT Network for yourself by signing up for our first testnet, Caesar, which we launched this year! Sign up for our newsletter as well, and remember, you can always leave your feedback and discuss DECENT’s features through our official chat groups on Slack and Telegram!